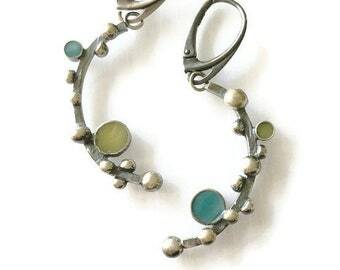 Stacked circle dangle-style earrings in sterling silver. One wide, flat circle link, one skinny ring link, and one link formed from bumpy bead wire. Swingy, textured fun. 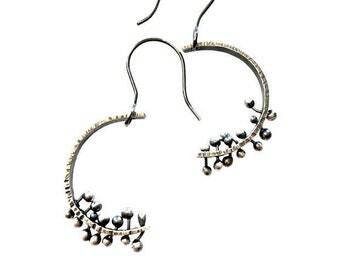 The metal has been oxidized with liver of sulfur, then brushed with steel wool to highlight the high spots and edges. These earrings are in stock and ready to ship. 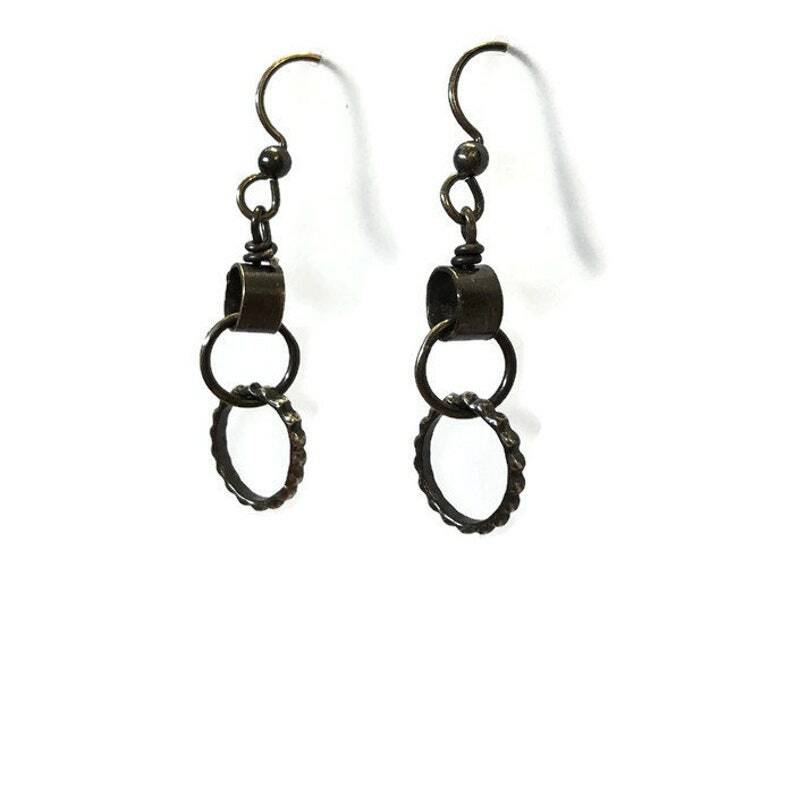 Chic Big Hoop Earrings Oxidized Silver Organic Industrial Simple Classic Circles Mismatched Hammered Textured Blackened 1.5"